Brush 05 is also available with The Collection. Use the fine tip to line the outline of the lips before applying lipstick. 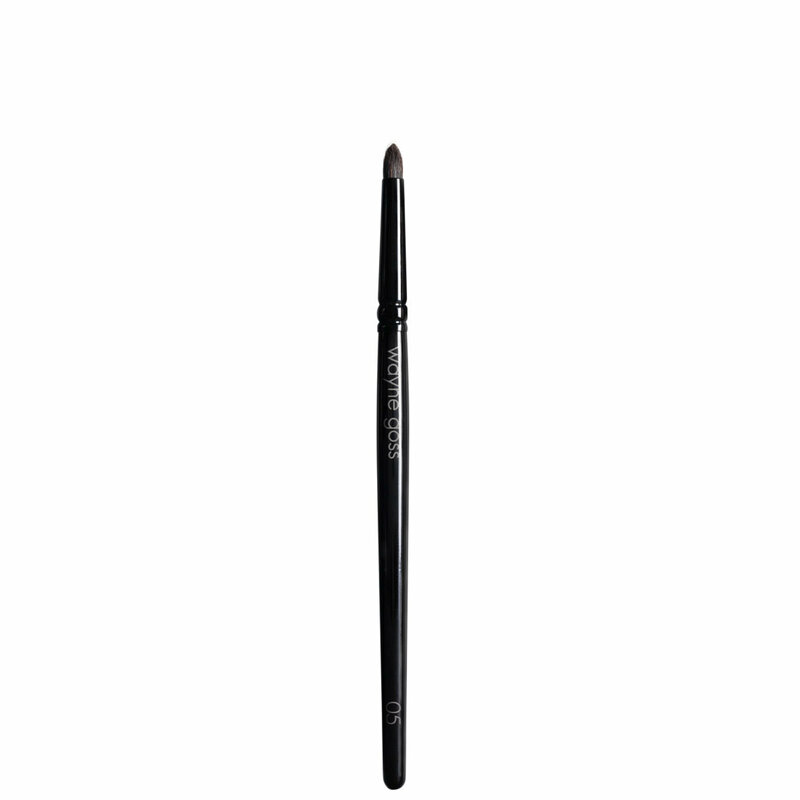 To apply eye liner, hold the brush at an angle and glide the bristles along the lashline. We also love Brush 05 for applying tiny amounts of concealer to small blemishes and smudging eye shadow along the lashes for a smoky look. Thanks to the review from KW, I purchased this as a lower lash line brush. It does a great job. I own the Chikuhodo Z10 and I love it and it's wonderfully soft but it is to large for my lower lash line. I also own the Mac 219 and it is also a little to large for my lower lash line. Overall it's just a great little brush. I have attached a comparison picture (WG 5, Chikuhodo Z10, Mac 219). Didn't expect hype to be worth it, but only this brush & a Kevyn Aucoin brush will smudge out eyeshadow under my small, mature eyes in a way that looks professional & pretty instead of like a raccoon. I will come back for at least 2 more. Very soft & comfortable too. THIS BRUSH IS WORTH THE HYPE 💥👍 IMPRESSED, MR. GOSS! I have several brushes like this, but this is the ONLY brush small enough to handle my lower lash line. I have been lining with shadow more often than eyeliner as of late. 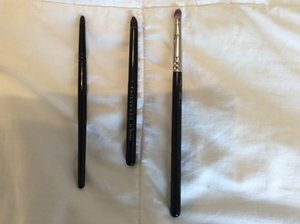 Eyeliner brushes are too small, other pencil brushes like this are usually too large. This brush is perfect! 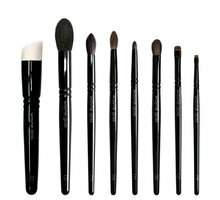 Much softer than the Mac brushes with more flex to the bristles but firm enough for a precise application. On par quality wise with Chikuhodo / Hakuhodo but smaller with a most precise tip. 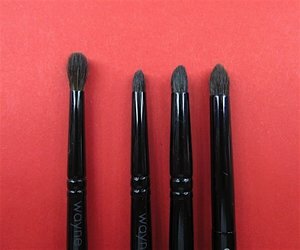 This brush is also very good for smaller detail work on the eyelid. This brush would probably be very precise for lip application, but I have not used for that purpose. If I did I would buy a separate brush for lips. Lip products require a more frequent wet washing, which can shorten the life span over time. I want to keep this bad boy in shape! At age 60+ I have owned more brushes than I can count. 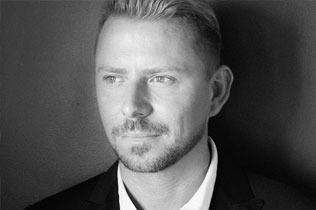 That being said, I am absolutely in love with my Wayne Goss brushes; they are the best ever! 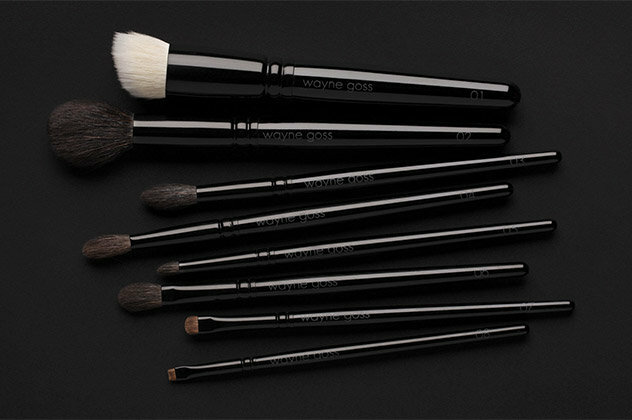 I have basically replaced all of my brushes with Wayne's, with the exception of a few Acouin favorites. It's perfection, as KW said in her review. Incredibly soft, but ingeniously designed-only a master (or a couple of masters--Goss and the traditional Japanese brushmaker) could have created this. 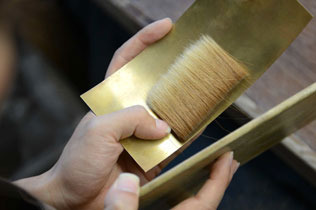 Perfectly tapered to line and soften in one...just a beautiful brush. I absolutly love this brush to give me a cut crease. Its pointy so its amazing to do outer v work too. Its not as soft as my chikuhudo z 10 but it has more substance to it to create sharp lines and detail work. This is definately worth 20 dollars. I LOVE this cute little brush!! I use it for a smokey/smudgey eyeliner look for daytime and it's brilliant!! The hairs are super soft so my delicate lash line area isn't irritated. It's also wonderful for the lower lash line! I need more!!! Possibly even one of his very best--which is saying something! A really perfect little brush, for any small area--eyeliner, lid, concealer... Just beautiful.